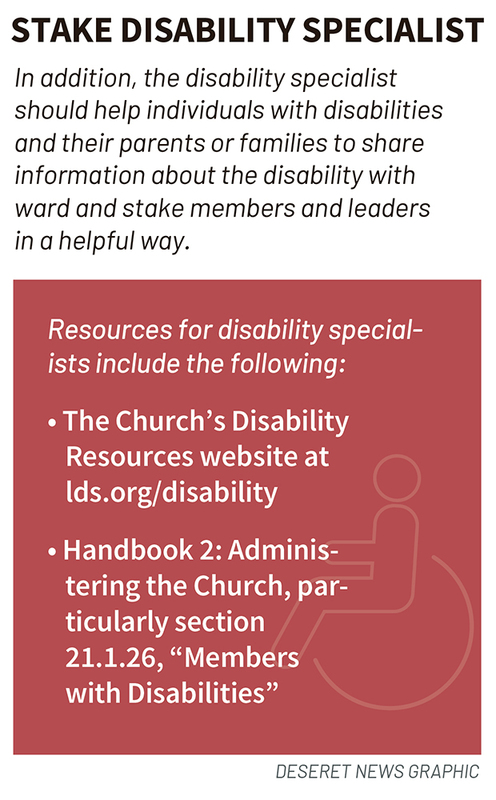 The role of the stake and ward disability specialist is “to help facilitate increased participation and inclusion of Church members with disabilities.” Some responsibilities are including members with disabilities in Church meetings and activities, responding to disability-related concerns, and identifying resources for members with disabilities. 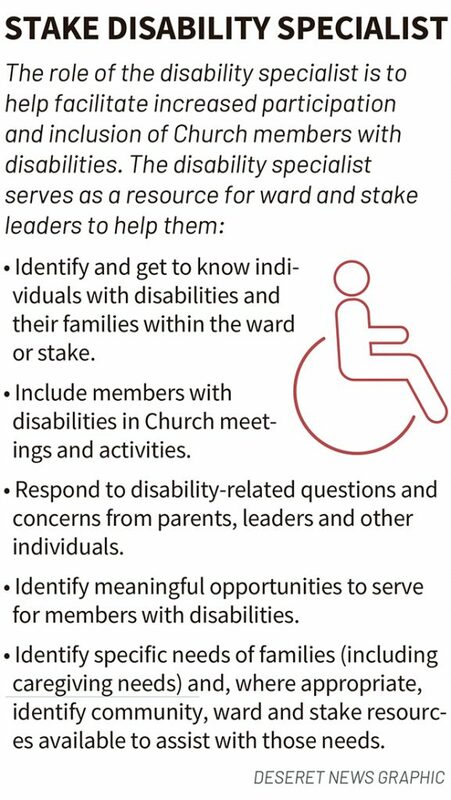 Stake and ward disability specialists teach others to serve those with disabilities. 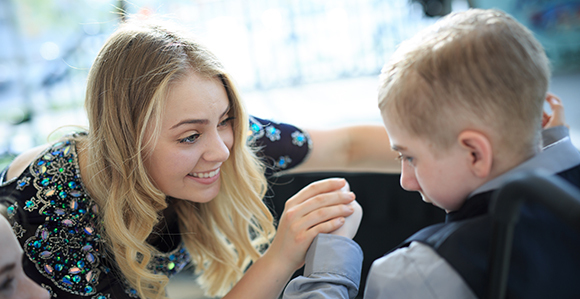 They can also help those with disabilities and their families feel more comfortable at church.